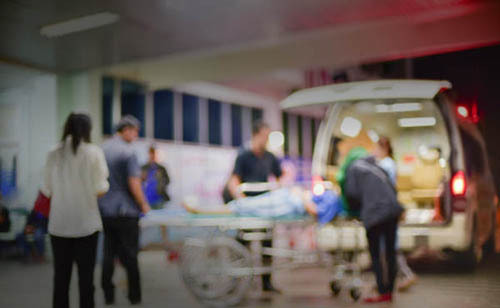 In a pre-hospital/EMS situation, accurate and timely message delivery and communication can be critical and can make a significant difference in patient outcomes. Proper coordination and advanced notification of hospital resources can be crucial but moving to an integrated future has been complicated by multiple standards and management of protected health Information. Financial and demographic data sharing allow significant motivators for establishing information exchange. Understanding how to integrate data into modern downstream clinical practice is Golden Hour's strategic advantage. emsHIE (Health Information Exchange) Services integrate EMS clinical chart data from multiple vendors and provide bi-directional sharing of data between the EMS Agency and the Hospital Electronic Health Record (EHR) in near real-time and in a method that can integrate with multiple EHR platforms. emsHIE also provides to aggregate patient information from different health systems and care settings, including the transmittal of patient outcome data while ensuring HIPAA and HITECH compliance. Our job is to support your success and your mission. As part of our EMS Integration Platform, emsHIE is designed to allow you to focus on what matters most: Patient Care.